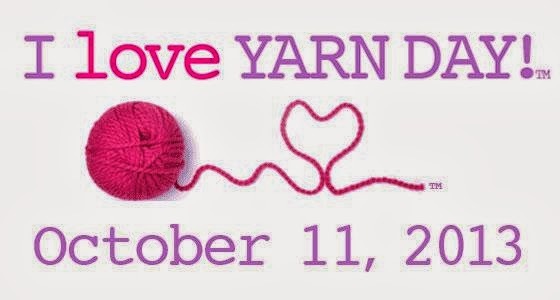 Today is I love yarn day, and it has me thinking that I need to show my yarn more respect. Not that my Ikea storage boxes aren't working, but I think I need to decorate my studio with the same energy I put into my crochet designs. I was so inspired by Raising Up Rubies studio. She really demonstrates what I am talking about, and everything she puts in her studio has personality. I have a studio, but for some reason, I usually work at the dining room table! 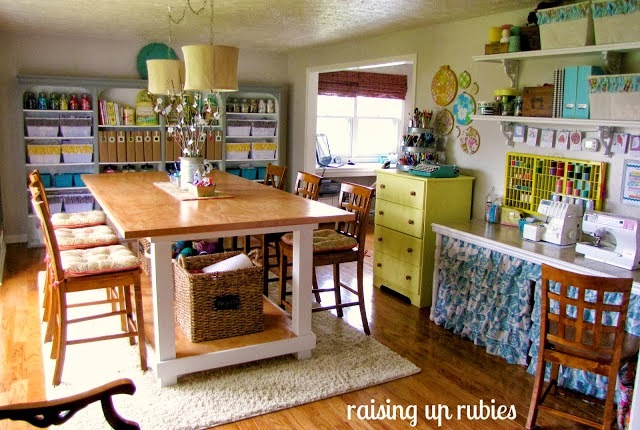 I think if I had a studio as amazing as Raising Up Rubies, I might never leave it! 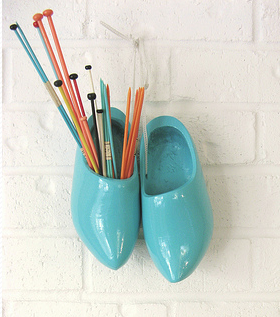 Dottie Angel repurposed a pair of clogs to use as a needle holder. 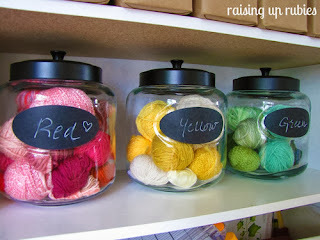 I love the idea of making a souvenir into something useful! 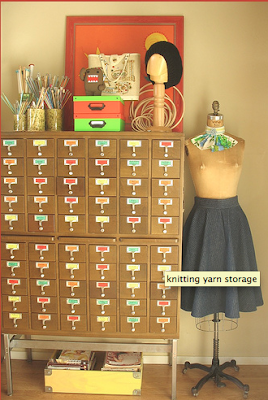 This old library card catalog was converted into a sewing and yarn storage unit by bitsandbobbins. So charming! Now I have a good excuse to go antique shopping again. I feel truly inspired today! Crocheting Clothes Kids Love- a Sneak Peek!